Also known as ‘Dressgate’, #thedress is a viral phenomenon and meme that took over the internet in late February. You probably already knew that though, since you couldn’t go anywhere without running into somebody debating the issue earlier this year. It all began when a tumblr user posted this washed out photo of a dress that she was planning on wearing to a wedding. An argument soon kicked off about the colour of the garment, with no one being able to decide if it was black and blue or white and gold. 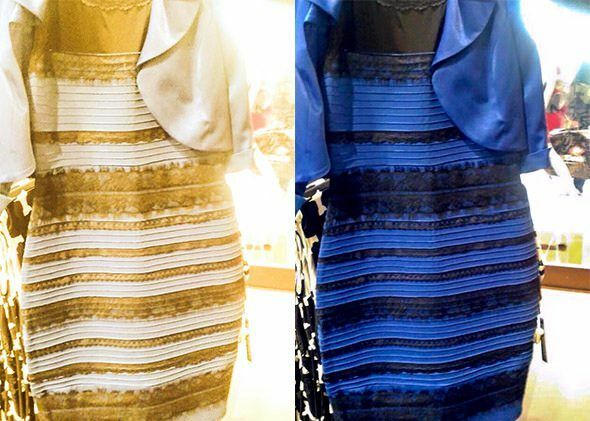 The dress was soon posted to other social media sites, and the hashtags #blackandblue and #whiteandgold started trending on Twitter. Millions became involved, and elaborate theories sprang up to either prove or disprove various opinions, while others complained about the amount of attention devoted to such a trivial matter. The Washington Post would later describe the argument as “the drama that divided a planet”, and one man was so intrigued by the dress he got a tattoo of it. 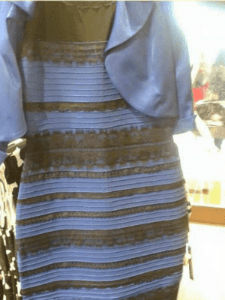 Despite a BuzzFeed poll showing that 68% of people believed the dress was white and gold, the dress was proven to be black and blue by the retailer Roman Originals. A number of scientific reasons have been put forward to explain why some people saw one set of colours and the others another. These include the way people’s brains process colours and how the names of various shades can influence our perception. Previous articleSay These 17 Things to Single People & You Will Never Forgive Yourself – #7 is Insane! 11 Actors We Believe Should Have Won An Oscar, But Haven’t – #8 is Our Favorite! Not everyone can win one, of course, but there are some actors who we feel should have at least won one by now.